Recently, there’s been some complaining by a couple of big retail brands that consumers are simply using their physical stores as showrooms to examine products in person, prior to going online to purchase them at a better price. The discussions that seem to be happening relative to these findings are, a) eCommerce continues to grow, b) technology has become an enabler for savvy consumers, and, c) certain retailers are making it easy for consumers to find better prices online. Well, that’s all true, but from my personal point of view, I feel this does away with one of the biggest advantages to online shopping: the convenience. Sure, it’s always nice to be able to get your hands on a product before you buy it, make sure the quality is there….or that it fits….or that those drapes are the shade of Robin Egg Blue you’re going for. But perhaps part of the reason people are visiting these retail stores before going online, is that many eCommerce retailers simply don’t have the quality images that allow consumers to buy online with confidence. When it comes to eCommerce, pictures sell. It’s that simple. In the digital world, they’re the equivalent to physically holding a product, which, as I mentioned, more consumers are now doing. If your product photos are high quality, it reflects highly on your brand and instills trust in the consumer. If not, it does the opposite. 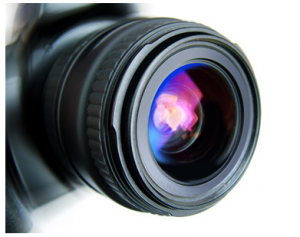 So here are 4 tips to help ensure that your images are helping you to make sales. Many online retailers use product images supplied by their vendors. This can be okay to do as long as the images are high quality, and they provide enough depth and angles of your products, as many items sell better when consumers can see more than one angle, and can view them from close up or from far away. If you’re not experienced with product photography, or if you don’t have the right equipment, consider using a professional photographer. This can be time consuming and expensive, but well worth it. Getting quality images means you need the right light, which may include tents or light boxes, the right camera and lenses, and the right editing software. While your vendors may be able to supply you with quality photos, it’s important to consider differentiation. I recently wrote a post on the importance of having unique product descriptions to stand out from the crowd. The same can be said for your images. When merchants are able to take photos themselves, or have them done by a professional with their guidance, they are able to play around with multiple angles and image styles, creating unique photos that can help differentiate their website from dozens of others selling the same products. Photo shoots often occur over the course of many days, or as merchants acquire new inventory. To create cohesion, try to maintain a similar look and feel with your product images, which may involve the same light and background, especially when it comes to multiple images of the same or similar products. According to a study put out by Nielsen late last year, nearly half of all mobile subscribers in the U.S. own a smartphone device. For eCommerce merchants, this means you should be thinking about a mobile-optimized website, if you haven’t already. Too many images, or images that are too big or have too high of resolution, can create a poor experience for mobile users. It’s a good idea to talk with a website developer about creating mobile-optimized images for multiple devices, and to test your website on those devices to check image quality and page load time. Make sure you also add unique and relevant ALT tags to your images, which will not only help mobile users that browse with images turned off, it will also help to optimize your site for search engines. Product photography can be a big investment, but by creating consistency and quality, you will create a trustworthy, visually inviting website that will help to boost your sales.